I have often said that I don't play MMOs. Broad statements like that one have the awful tendency to be untrue. I have played many MMOs in my time. In fact my on again, off again history with them reaches way back. Allow me to take you on a journey through my sad and torrid history with several games; some I loved, some I hated and a couple that I forced myself to enjoy more than I should have. 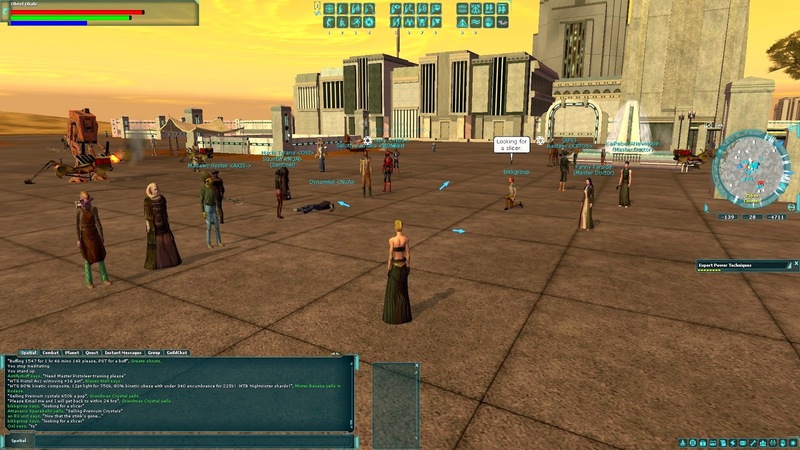 The first MMO that I spent any significant time with was Star Wars Galaxies. I started playing after a few friends got me into the game. I spent a great deal of time there; in fact, Galaxies remains the MMO that I have spent the most time with. I leveled up a smuggler and sided with the empire (mostly for the ships). Before long I was hopping from planet to planet, building stores and buying/selling whatever I could turn a profit on. I grew quite rich. Life was good in Galaxies for a time. I had several mining vessels that I used to generate wealth, a host of fighters I could swap between whenever I grew bored and at least one beautiful large transport that I upgraded and babied as much as I could. In early 2005, we were asked to help test what was then called the "Combat Update" before its launch. It was almost immediately clear that the update would be a disaster. The professions that were a cornerstone of the experience I so enjoyed were simplified and unbalanced, making PVP encounters and even basic PVE combat nearly impossible for many players. When the update finally launched as the New Game Engine, almost none of the issues we had seen in the beta were addressed. With the update, Jedi was made a starting profession option. Before long, the game world was loaded with overpowered Jedi and a massive list of balance issues that plagued the game until it shut down in 2011. I left the game shortly after NGE, largely due to the frustrating state of the game world and its broken economy. After that I drifted from one MMO to another, never really satisfied with what I found. 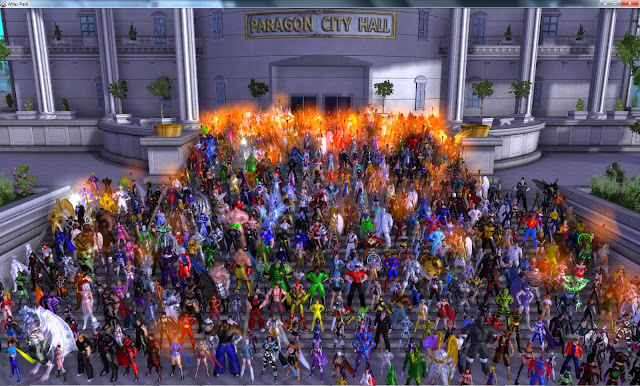 I played Guild Wars for a couple months and tried out World of Warcraft before moving on to City of Heroes. It was there that I found a new home for a while. I played with many of the same friends that had gotten me into Galaxies. I liked the aesthetics of the game and the wealth of options it gave for customizing your powers and costume. I helped test the City of Villains expansion but left the game a few months later. My departure was largely due to financial issues. Sustaining a subscription to the game was just not something I could afford. Some years later, I dabbled once again in WoW but quit after I was followed continuously and harassed by a particular high level player who thought it was hilarious to slaughter me whenever possible. From there I moved on to Final Fantasy XI, a game that was fun right up until I had to work with other players, somewhere around level 15. The game offered almost no preparation for these session and had largely been a solo affair for me to that point. Suddenly and without any direction, I was to find a group on a strange beach and complete a series of quests. Mind you, everyone else on that beach was just as confused and clueless as I was. What should have been a tutorial became a herculean task. That beach was my undoing. 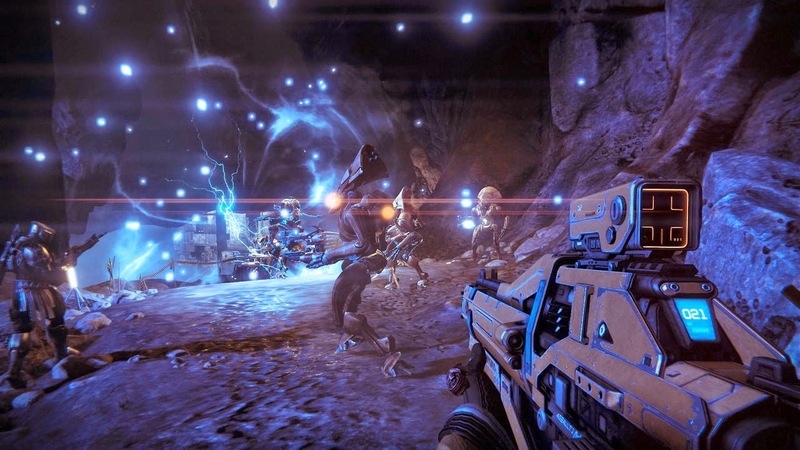 Almost every time I have made the decision to buy an MMO, it has been because of the promise of playing with friends who are already playing. I have often found myself playing alone, despite the presence of friends on the same server. Usually the issue that kept us from playing together was time or level difference. Inevitably, my friends would have characters far outside the level range I was at, making it impossible for us to work the same quests. Some tried to grind me through the lower levels but I remember being really upset that I couldn't do anything without getting killed. I was told to stand behind cover while they slaughtered every creature we encountered. It was not fun, even for a second. As I try to piece together my strange affinity for Destiny, I may venture back into the world of traditional MMOs. I don't expect it to be much different from the genre I left years ago, but perhaps it's less about the game and more about the people.